Google Inc. (GOOG) is reorganizing into a holding company that gives its main Web operations greater independence while offering investors more visibility into ambitious plans to expand new businesses, including health and Internet access. Alphabet Inc. will be name of the new conglomerate. Google Inc., along with YouTube, Android mobile software and other Web-based products, will be a key part of that. Alphabet will also include Calico, Google Ventures, Google Capital, Google X and other subsidiaries, the Web company said in a blog post Monday. The goal isn’t to make Alphabet a consumer brand, Page said. The new structure will give greater clarity into how Google invests in various ventures, including driverless cars, high-speed Internet service and health-related technologies. It also makes it easier to make any future acquisitions or potential divestments. Wall Street cheered the news, pushing the shares up 5.9 percent in extended trading. Larry Page, co-founder and current chief executive officer, will hold that title at Alphabet, while co-founder Sergey Brin will be president. 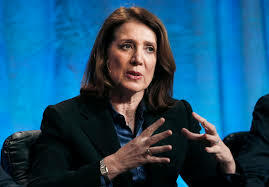 Ruth Porat will remain chief financial officer of the holding company. Sundar Pichai, Page’s deputy, will be promoted to become CEO of Google Inc., which generates the bulk of the company’s $60 billion in annual revenue. Omid Kordestani will transition from his role as chief business officer to become an adviser to Alphabet and Google. Shares of Google rose to $705.98 in extended trading. The stock is up 25 percent this year, with much of the gains coming after the company reported quarterly results last month. The new structure will be introduced in phases in the coming months. Alphabet will give its results as a holding company starting with the fourth-quarter earnings report, which is usually released in January. With this move, investors will get more details on how the businesses are operating, a longstanding concern on Wall Street. Spending on projects that include everything from driverless cars to chip-embedded contact lenses has rankled investors, who aren’t sure how long it will take for the efforts to pay off. The announcement comes months after Porat joined Google in May, following a five-year stint as Morgan Stanley’s (MS) CFO. She has said Google can maintain growth even as it manages the pace of expenses. For anyone who owns shares of Google now, no action is required. The stock will automatically convert into Alphabet shares that represent stakes in the same collection of companies that exists today, just arranged differently. The change won’t require a shareholder vote or create any extra taxes. While Alphabet may be an unusual choice for a multibillion-dollar Web conglomerate, it’s more mundane than the company’s name, which was considered odd before it become a household term. Page and Brin adopted Google, a misspelling of the large number Googol (1 followed by 100 zeroes), when they founded the Web-search company in 1998.